This section deals with the last dimension of the AGG model—the growth realm—and the relevance of technology and innovation to this subject. This chapter discusses briefly the recent developments in two deeply connected strands of the economic literature: the complex phenomenon of economic growth (mostly of nations) and the phenomenon of the growth of enterprises, two important disciplines of the economic science. 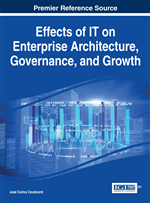 Its main intention is to highlight how the combined (and complementary) issues of the architecture design and operation and that of governance of the enterprise (objects of this book) are still absent in the mainstream debates of the growth of enterprises and of economic growth. The chapter ends with a brief discussion of economic models that take into account new information technology business models. In Chapter 1 of the book ‘Introduction to Modern Economic Growth’, Acemoglu (2008) begins by stating that there are very large differences in income per capita and output per worker across countries today. Countries at the top of the world income distribution are more than 30 times as rich as those at the bottom. For example, in 2000, gross domestic product (GDP; or income) per capita in the United States was more than $ 34,000. In contrast, income per capita is much lower in many other countries: about $ 8,000 in Mexico, about $ 4,000 in China, just over $ 2,500 in India, only $ 1,000 in Nigeria, and much, much lower in some other sub-Saharan African countries, such as Chad, Ethiopia, and Mali.